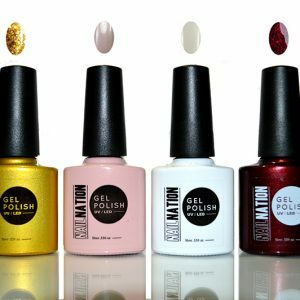 The NailNation Deluxe Kit includes everything you ned to prep and apply salon quality gel nail polish manicures at home that will last you up to 15 days with no chipping, cracking or smudging. Application is a breeze, even for first timers! The kit also includes remover wraps and 150ml NailNation Gel Remover to allow you to gently remove the nail gel so you can try the next one! The kit also comes with Cuticle Oil to moisturise and protect your nails. 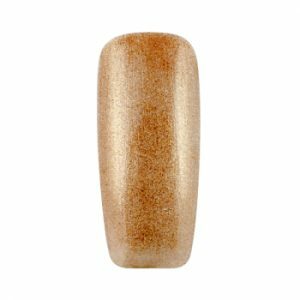 Colour – Latte This opalescent shimmery cappucino is perfect for coffee with the girls. Containing all the tools you need for over 15 applications. The kit includes the NailNation Pro LED lamp which is specially designed to cure and dry your NailNation Gel Polish. The curing time is 45 seconds per coat and 60 seconds for the top coat. Once cured you will enjoy a glossy, bright and long-lasting finish. NailNation knows that every girl wants to have gorgeous nails that last and last, we are changing the way you do your nails at home.